No. The activated oxygen generated by the SoClean is kept within the closed loop of your CPAP equipment and the secure chamber of the SoClean device. Any released during the sanitising process passes through an output filter that reverts it back into the oxygen we breathe. Activated oxygen is used extensively in Europe as a sanitiser. In the US, activated oxygen is used in many municipal water purifacation operations. It’s also used to treat produce and grain, to discourage mold growth. Homes subject to smoke damage often make use of activated oxygen to remove hard to eliminate odors. The hotel industry and hospitals also use it to sanitise on a whole-room scale. 8. When and how do I use the Neutralising Pre-Wash? Prior to the first use of your SoClean, wash your mask, hose, and reservoir using the Neutralising Pre-Wash. This is done only before your first use, or when you introduce new equipment to you CPAP system. Use about 1/4 of the included 1 oz bottle of pre-wash with water, in the same way you would use dish soap, to clean your equipment. A quarter of the bottle is approximately two capfuls. We recommend that you set the SoClean to run anywhere from five to twelve minutes–twelve minutes being the maximum amount of time the SoClean will run. However, it is important to leave your mask inside the chamber for at least two hours following the machine operation, as this is part of the sanitising process. A strong scent can occur if your equipment has not been treated with the Neutralising Pre-Wash included with your system. It can also be a sign that the duration of your treatment is too long. Try lowering the duration of your treatment. If you still feel that the scent is too much, you can opt to run the treatment every other day. 16. What if I need to return the SoClean? 17. What's the difference between the SoClean 2 and the SoClean 1? The SoClean 2 is an updated version of the original SoClean machine. 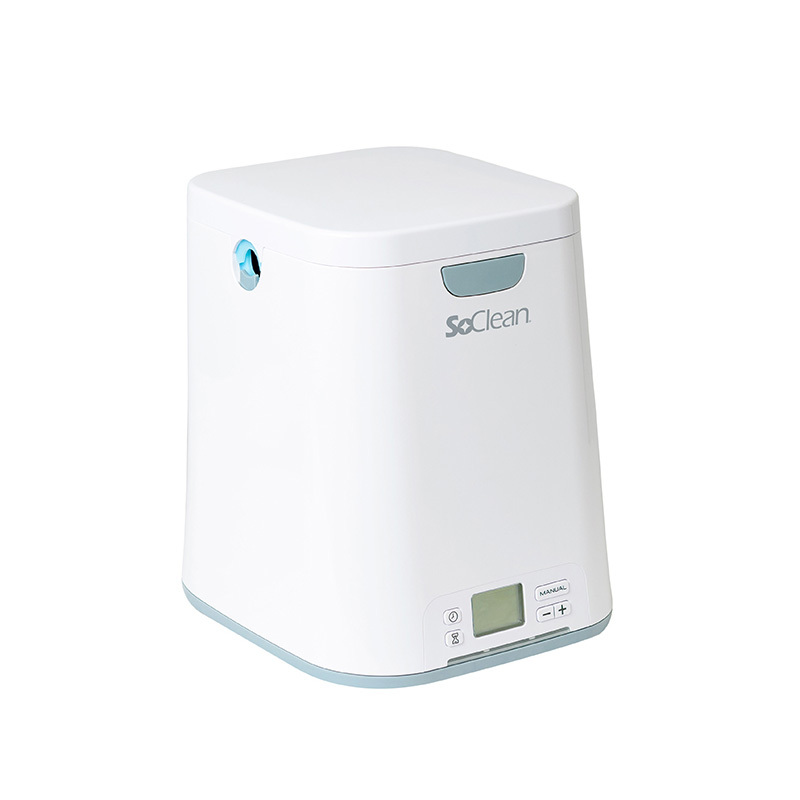 The SoClean 2 uses the same sanitising process and connects to your CPAP the same way as the original. The SoClean 1 is no longer available for purchase. For more information, take a look at the SoClean Features Comparison page. We are here for you! Call us at +0 800 538 5040 or use the contact button to send us an email.